Airgeadcoin is the first debt-free currency backed by precious metals. It will facilitate financial movement, control, use and management of precious metals through its digital form. The company aims to make money decentralized and away from government and banking institutions by creating a digital currency that relies on real assets (precious metals). It will also provide debt-free currency worldwide and will be fully supported by precious metals. Their goal is to have the customer have the ability to use both gold and silver pieces, platinum and palladium, ie metals produced as the basis of a global currency, and thus will be more valuable than any other currency. By creating their own BlockChain network, digital precious metal movement will become free among precious metal wallets for all people around the world. Thus, central storage costs will be removed, and precious metals stored in Airge will never be devalued. There will be no extra costs, no storage charges for your precious metals. The company begins storing precious coins in a storage case at no additional cost to the user at all. No administrative fees, insurance fees or storage charges will be charged from the customer. The digital coins supported by precious metals are then created. Each coin will vary according to the size, weight and weight of the metal. The precious metal portfolio offered by the platform will also allow for the safe storage and management of these precious metals, allowing the customer to be the first and last controller of his or her money. The precious metal trading platform of the project will allow for trading in the value of all currencies, which will be evaluated immediately and the value of the currency desired by the customer. All these operations and trades will be registered in the project's decentralized BlockChain network. It will also provide purchasing outlets, enabling the customer to use the value of these precious metals to purchase goods, services and assets around the world. The project aims to create a global currency at no cost and encourages other countries to build the value of their currencies against their precious metal-backed digital currencies. The initial currency support process is ongoing and the team will sell a total of 100 million currency (pre-sales) during the pre-sales period and during the ICO period. The currency has increased during the ICO process, starting from EUR 0.60 during the pre-sales process to 1 Euro in the ICO process. The trading platform is scheduled to be launched after the completion of the ICO process. The Airgead coin is assumed to be made by a team based in Ireland. "Airgead" means money in Gaelic. The company also priced the currency in the ICO process in euros. The company registration number is (618785). 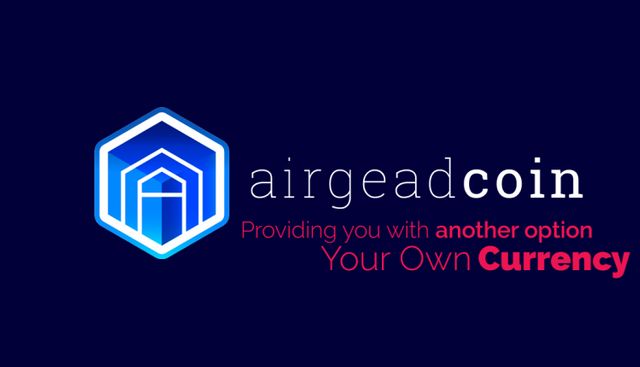 Its registered name is Airgead Coin Ltd, a Dublin-based company founded in January 2018. Lee O'Brien and Mark Murphy are both listed members of the company. The company was classified as a "wholesaler of metals and ores". For more information, please visit the official web website. Or communicate via email. To read the project white paper, visit this link .